Fires are both one of the most destructive and one of the most cleansing things ever, second only to water itself. That means there are a lot of options... not only can your style reflect fire, but it can reflect fire prevention, the feeling of flames, the colors that range from deep red to almost invisible blue... It's such a way to go. 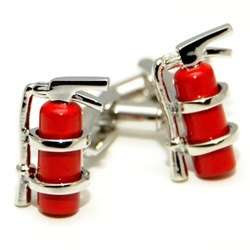 thisnext.com offers cuff links with fire extinguishers on them! Great, right? One of my friends, a volunteer firefighter, could wear these. If he wanted. I don't think he would, but the point is, fireman are awesome, and while they don't need their fashion to make that apparent, that option is available. This bracelet from desiredcreations.com is like nothing I've seen before. It's so interesting and unique that I had to share it with you guys. The color of the beads is where the fire symbolism came from. 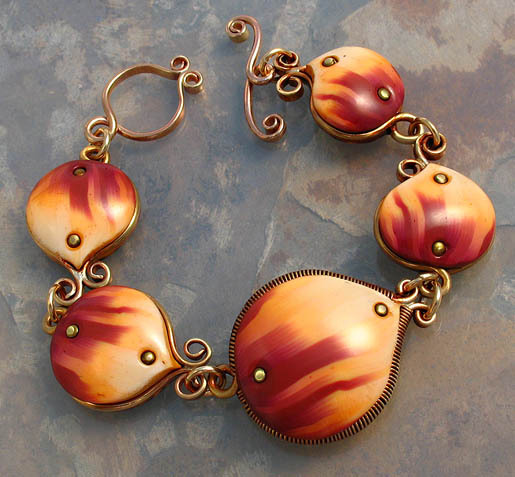 Look at the design of this jewelry! 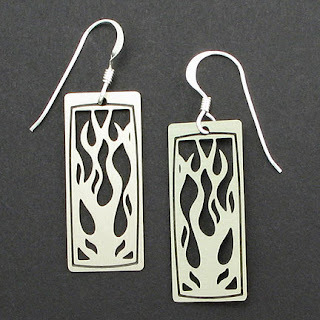 These kyledesigns.com earrings cover that base. The pattern is great, and I like squared earrings, because you don't see them that often. 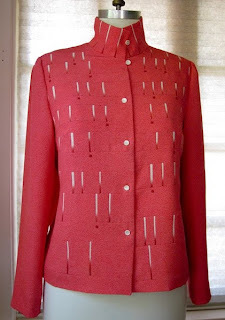 The reason I chose this shirt was because the pattern on it looked like partially burned match sticks. Do you see it? Also, I like the high collar, and they should be brought back. 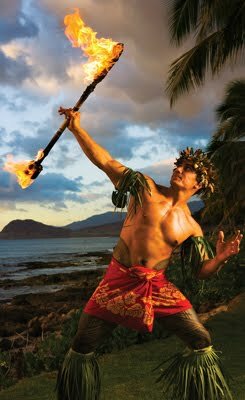 Oh and hey, if you want to look awesome any time, just have this guy walk around, celebrating you. You'll be a hit!